The only resource you’ll need for making the very best homemade pizzas. Including finding the perfect crust, the best sauces and toppings all from the very best and most trusted food bloggers! You’ll know by now that I love pizza, I mean pizza is literally my life so it made complete sense to share the ultimate guide to making perfect homemade pizzas. Making homemade pizzas is so easy and fun, it’s the perfect way to get the whole family involved and you won’t believe how much more delicious they taste than any store bought pizzas. Using this ultimate guide to homemade pizzas you’ll be able to easily select the right dough or pizza crust your looking for be it traditional dough or a quick fix when you’ve not got much time or even unique crusts made from various vegetables. You can then decided if you want to go with traditional tomato sauce or a white base pizza and then select your toppings from a variety of meat, fish, vegetables, vegan, extra cheesy and even gourmet toppings. 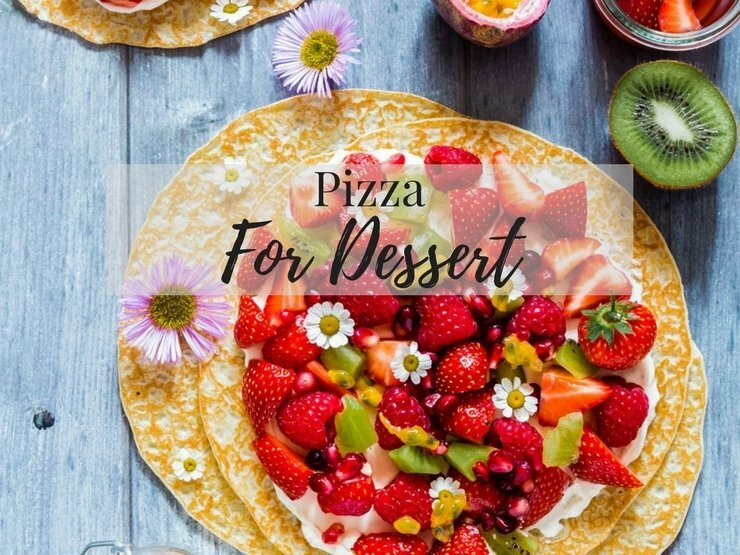 And when you think you’ve not got any room left except that little space you were saving for dessert I have a list of fantastic, fun dessert pizzas that you really need to try. P.S I’ve added a little bonus of pizza-themed party food that are perfect for the holiday season or for when you’re entertaining. First up is traditional basic pizza dough, this is what I choose 95% of the time when I’m making pizzas at home. 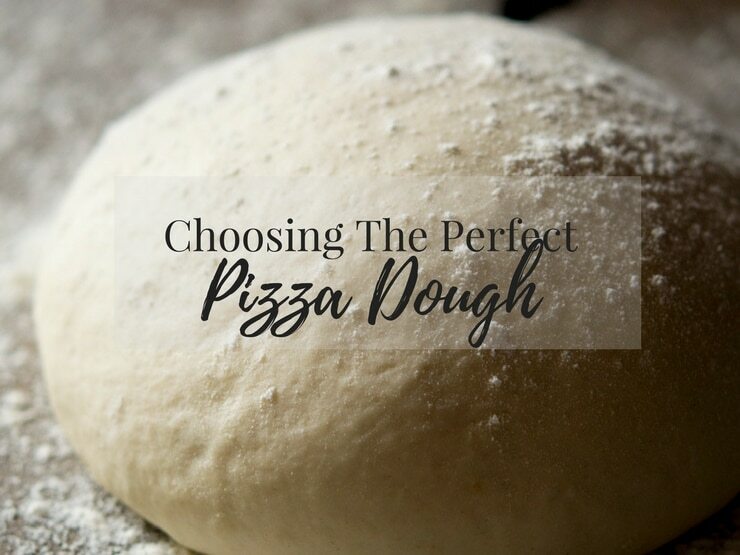 These doughs are so easy and pretty foolproof whether you choose to do it by hand (my prefered method) or use a stand mixer here is a list of the best basic pizza dough recipes followed by yeast free, gluten free and vegetable crusts. You can also read about the best type of flour to use for making homemade pizzas here. 2 Ingredient Pizza Dough – Kleinworth & Co. When I’m in a rush I use passata/pureed tomatoes (a good brand like Cirio) straight out of the jar, spread onto pizza bases and then sprinkled with a tiny amount of salt and pepper and sometimes a little dried oregano, it works great! 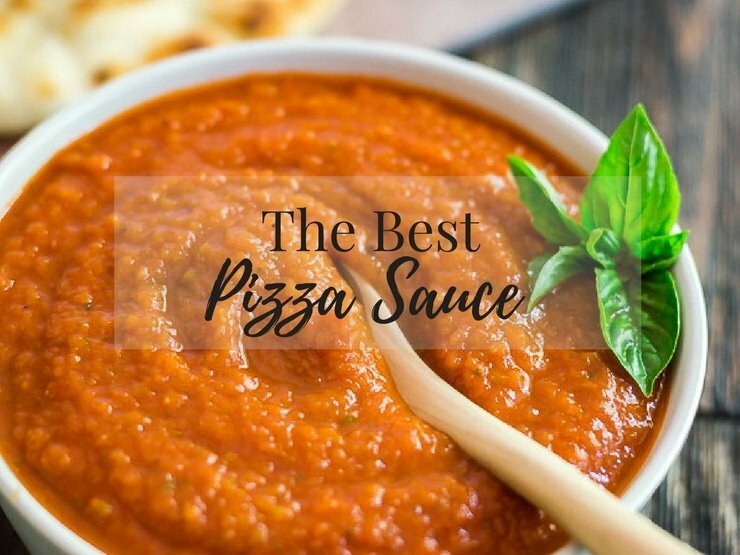 If you’re not in a rush however and have a little extra time to make a great pizza sauce then here is a list of some of the best ones to try! 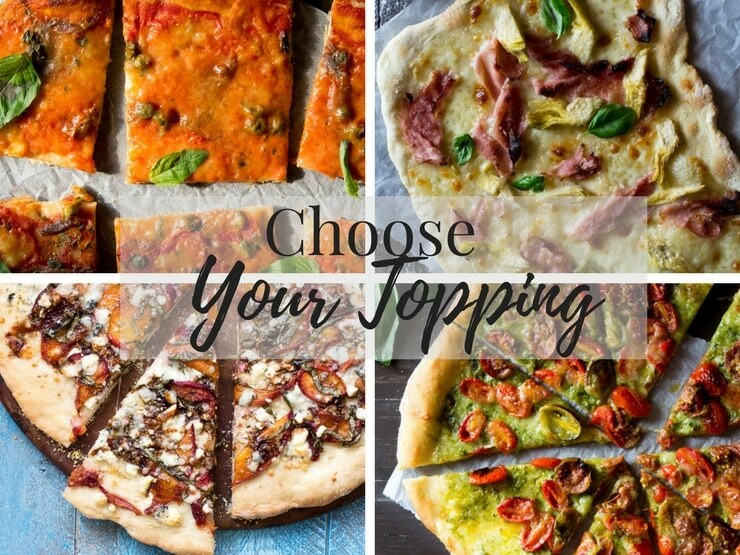 Now it’s time for the best part, choosing your toppings for your homemade pizzas. Here you’ll find a mix of meat, fish, extra cheesy, vegetarian, vegan and even some gourmet pizza toppings. There are so many great topping ideas here the hardest part is deciding what one! Who says you can’t have pizza for dessert? Here’s a fun list of fruity and chocolatey pizza to enjoy after dinner plus some fun pizza themed party food from crackers to pull apart rolls these delicious little bites are perfect for parties and entertaining. 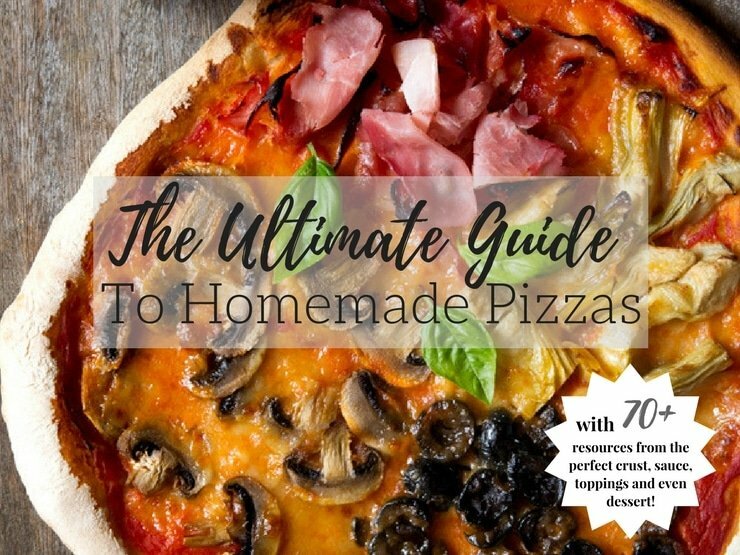 I hope you enjoy this ultimate guide to making homemade pizzas, it’s a great resource full of fantastic recipe. If you’ve tried any of these recipes be sure to let me know how you got on in the comments below, I love hearing from you! You can also FOLLOW ME on FACEBOOK, TWITTER, INSTAGRAM and PINTEREST to see more delicious food and what I’m getting up to. I am extremely excited to test out the gluten-free pizzas in your list. Thanks sooooo much. Now this is a roundup! You did a fantastic job collecting everything you would ever need for building the ultimate pizza! Great post! Woah, this is such a great resource! I love how you separated everything out by category and how there is something for everyone! Thanks for including me! These all look so fabulous. I love the dessert pizza options. Need to try those. The dessert pizzas are such a great idea, nutella on pizza is to die for! Thanks Brandi. I was told high gluten flour was also great for pizza making! This post is amazing! Love the way you divided everything into sections – very easy to find what you are interested in! Thanks for including my recipe as well! No problem Julia, thanks so much! thank you so much for the feature into this awesome roundup of pizzas!! I love this post! So many ways to make an amazing pizza! I can’t wait to try some of these recipes. Thank you for including my recipe. Thanks so much Katie, no problem I loved your spinach pizza!